Valentine’s Day Special: How Many Calories in a Glass of Prosecco? For this year’s Valentine’s Day we are ready to offload a bit of useful info about which Proseccos to buy and which are better off to be left on the shelves. We are not going to be promoting a specific wine retailer this time, we will leave it up to you to find out the most essential info about Prosecco. What it could be? As you may have guessed that, it is not the price of Prosecco or a fancy label – your health and even the morning after feeling are to be determined by calories. Well, not strictly by calories but mainly by sugars. Yet these two key numbers are very interconnected. Prosecco is made by a very simple process of tank fermentation of 100% Glera grapes in the north-east of Italy. Quite obviously, the quality of grapes and the precision of winemaking are great indicators of what the end product will be. Yet, as with champagne, winemakers choose a fairly neutral grape, so your sparkling wine is delicate and just a bit fruity. Prosecco is definitely fruitier than your normal champagne, but it still contains quite a lot of sugars. 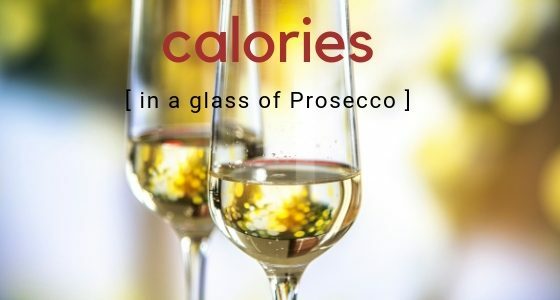 If you have a look at what contributes to calories in Prosecco, it would be around 8% carbs (read, sugar) and 92% alcohol (which is more calorific by the way). Luckily, you won’t normally find Prosecco which is much lower or stronger than 12% abv. These days it is considered as a norm. So it is really about the sugars i n your drink. Prosecco Brut will contain up to 12 g/l, whereas Extra Dry will be a bit higher – up to 17 g/l. When you read that your Prosecco is Dry, it is quite laughable as it can contain a whopping 32 g/l of sugars. Demi-sec will be up to 50 g/l. How many calories are in a glass of Prosecco? So when you are thinking about calories in a glass or bottle of Prosecco just remember that a gram of sugar contains 4 calories. It mean that a glass of Prosecco Brut can be lower than 67 calories. Compare it with the same glass of Extra Dry and your scales will go up over 80 calories. Do we need to count what happens if your Prosecco is not even Extra Dry? When considering bottle measures, we are talking over 500 calories per bottle of Prosecco. It is again very important that you double check the alcohol strength – these numbers are all for Prosecco which is 12% abv. So if you buy a bit lower alcohol one, say 11% abv, it will be healthier for you. Yet look at the label in terms of the sugar please. Choose Brut or at least Extra Dry to guarantee minimal added sugars. Yet with all things considered, Proseccos can be considerably lower than conventional wines which are very calorific (read, sugar added), so you definitely should opt for a glass of organic or natural wine. The same issue, just so you know, exists in a world of still wine where organic wines are almost always less sugary and therefore better fro your waistline than conventional wines (loaded with added sugars). When it comes to champagne, the levels of sugar are slightly higher for Brut champagne, so it can set you back with 95 calories per glass of champagne. Just remember that it is not only important to know how many calories are in a glass of Prosecco (or a bottle), but how it is made and who made it. Don’t you think it is simply better to buy an artisanal product made with love by people who love their trade and their land? I invite everyone who thinks that a an extra pound saved can compensate for wine’s provenance for a debate. Knowing how your Prosecco came to your table is equally important to knowing how many calories are in that glass of Prosecco (or bottle if you feel like it). Dimitri is passionate about wines, food to go with it, happy & healthy lifestyle, digital marketing, start-ups and entrepreneurship. www.IBlameTheWine.com is about new organic wines in the UK, what to buy or avoid on the retailer shelves; tips on healthy and happy wine lifestyle, but also provides reviews and rankings for organic wines. Get in touch please, I am always on a lookout for new ideas and connections! Cheers. No More Headache With Wine! 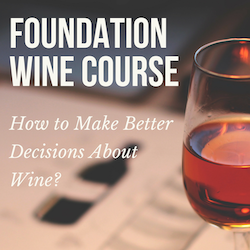 Learn Wine Basics and Enjoy More! 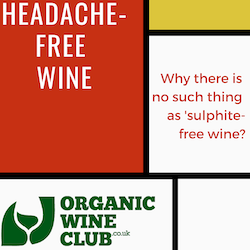 Copyright © 2014-2018 · iblamethewine.com - healthy and happy wine lifestyle: the best wine clubs UK, wine offers, wine subscription, food boxes and health info.